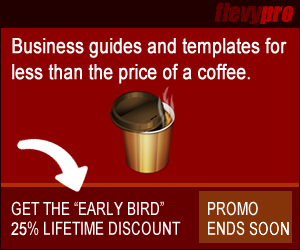 Buy and Sell Business Documents on Flevy.com Are you interested in a subscription-based presentation service? One Response to Financial Models Galore! The Consulting Fee Setting Matrix was very useful, I must admit. Thanks for posting sharing all these! Trying to plot a consulting fee forward to properly account for non-billable hours spent is difficult… invoicing (and other related finance), new business, general admin, tax (urgh!) and anything else that doesn’t get invoiced to a client needs to be accounted for in what you charge, otherwise you end up working half the week for free! We did a lot of financial modelling like this on our cfa program, and it really opened my eyes to billable vs. non-billable hours, and of course, the Parento rule of 80/20 – we’re forever trying to reduce non-billable hours and cut away the fat from our business processes, but there will always be an element of admin and finance that costs us money but doesn’t drive revenue. Thanks again for posting these links. Some of them are well worth the money.